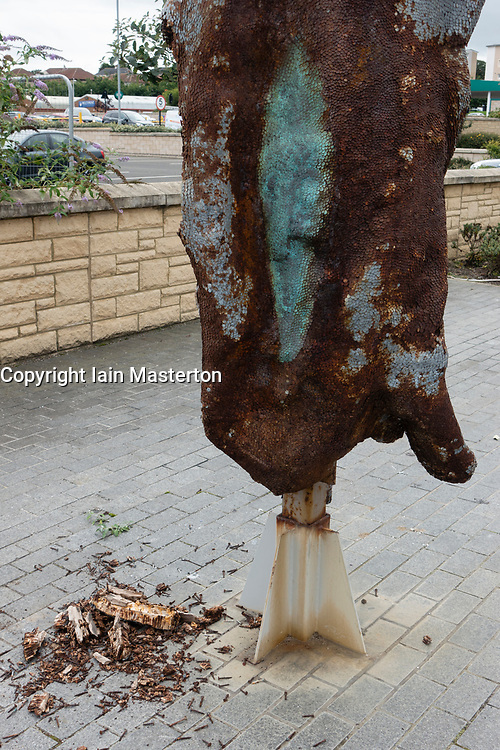 David Mach Phantom sculpture damaged, Kirkcaldy, UK. Kirkcaldy, Scotland, UK. 1 Sept, 2018. Wooden sculpture named Phantom by renowned Scottish artist David Mach has been cordoned off from the public following reports that debris is falling from the work. The wooden sculpture is made from a piece of driftwood with tens of thousands of nails driven into it and was commissioned by Morrisons supermarket for £35,000. Damage to the work is obvious but whether the fallen small pieces of wood and nails pose a risk to the public is open to debate.